Ever since the glorious era of Louis van Gaal and his golden boys reigned supreme in the 1994-95 season, they have experienced nothing but inconsistency. 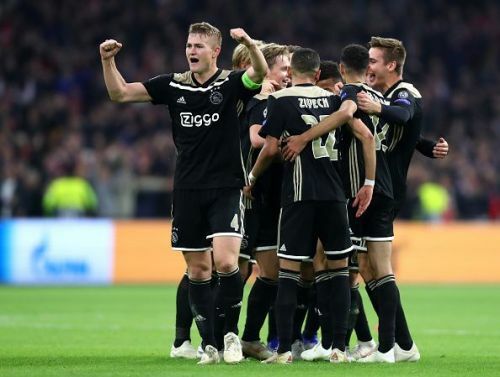 This season, AFC Ajax have come out all guns blazing reminiscent of the 1994-95 Ajax side. The appointment of Erik ten Hag and an increase in the influx of immensely talented youngsters have paved the way towards a change in their mixed fortune. Currently standing 2nd in the table behind PSV Eindhoven, their possession-based football has already enthralled audiences in the UEFA Champions League. Their gutsy performance in a 1-1 draw at the Allianz Arena against Bayern Munich was duly noted and put several of its young starlets on the global radar. Here are Ajax's best players to watch out for during the coming seasons. Subject to a transfer tug-of-war between Manchester City and FC Barcelona as per the Goal, the € 70 million rated Frenkie De Jong has already been compared to the legendary Johan Cruyff. With a keen eye for a pass, excellent vision and immaculate reading the game, De Jong is ear-marked to be Fernandinho's replacement at City by Pep Guardiola. 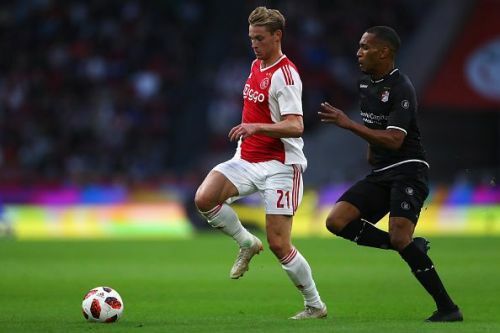 De Jong's ability to keep the ball moving and his intermittent dribbles from the deep is what makes him a special talent. His performances against the likes of Bayern Munich and Benfica in the Champions League have earned him laurels from legends and pundits with Barca legend Xavi stating him as " a beastly talent" in an interview with Mundo Deportivo. With four international caps already to his name, De Jong is at the heart of the Oranje's resurgence at the global stage. Ajax would have a lot on their plate to keep De Jong in their books come the 2019-20 season.